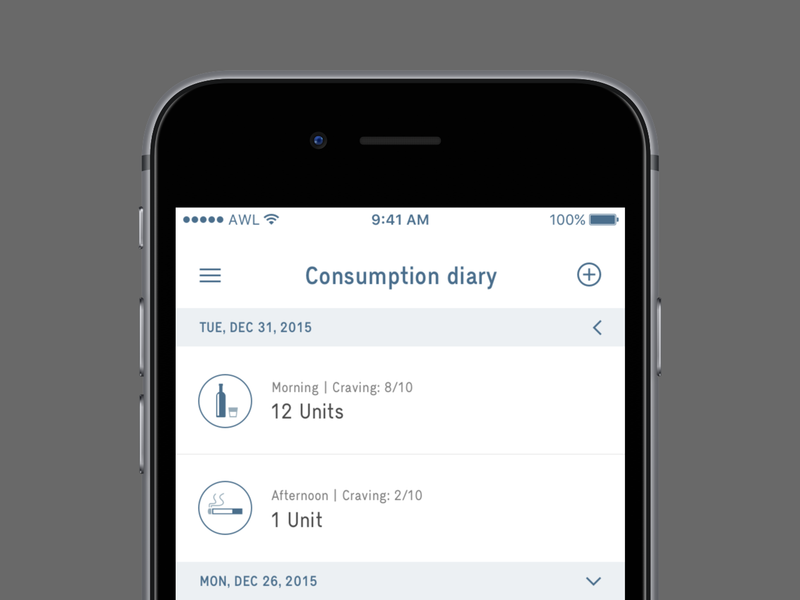 The Arud app helps you to track your consumption habits in a simple and safe way. There are two app versions for iPhone and for Android devices. 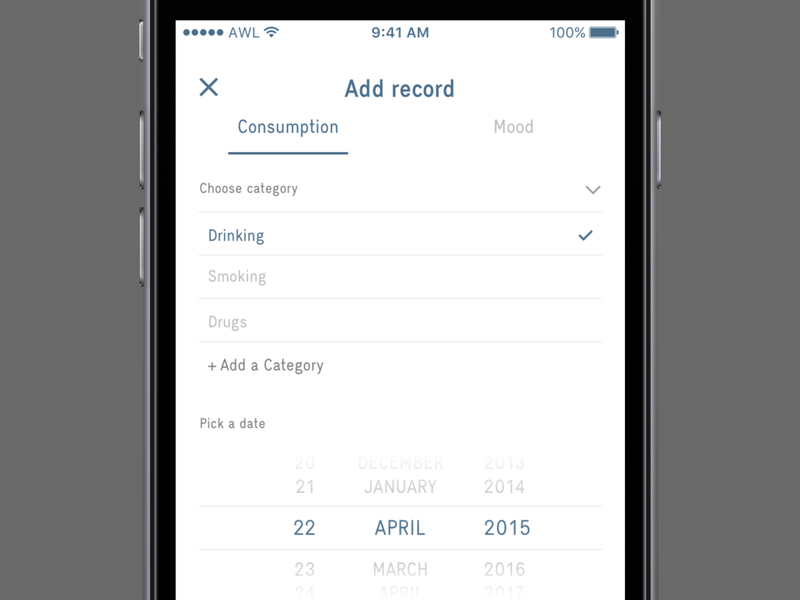 To create an app that tracks habit consumption of different category substances. 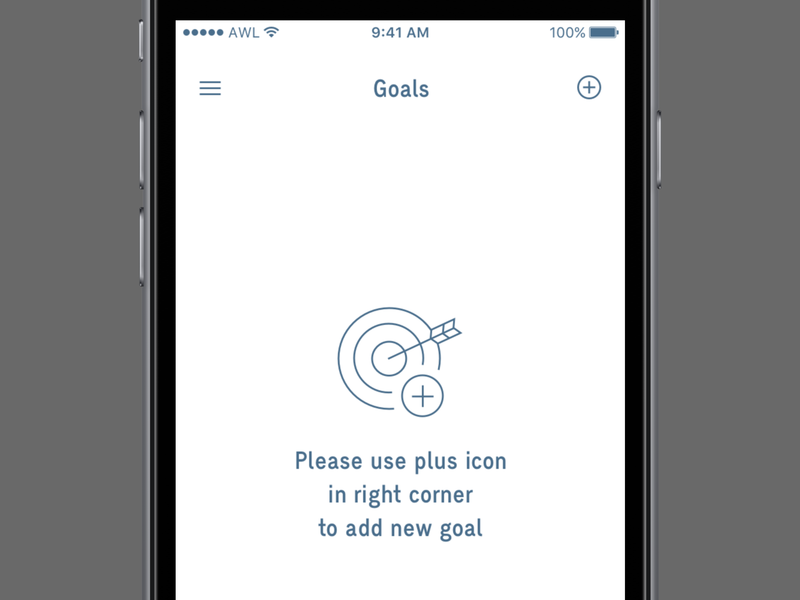 With an ability to make reports, set goals, and check your state with the internal test. As usual, I start from prototyping. 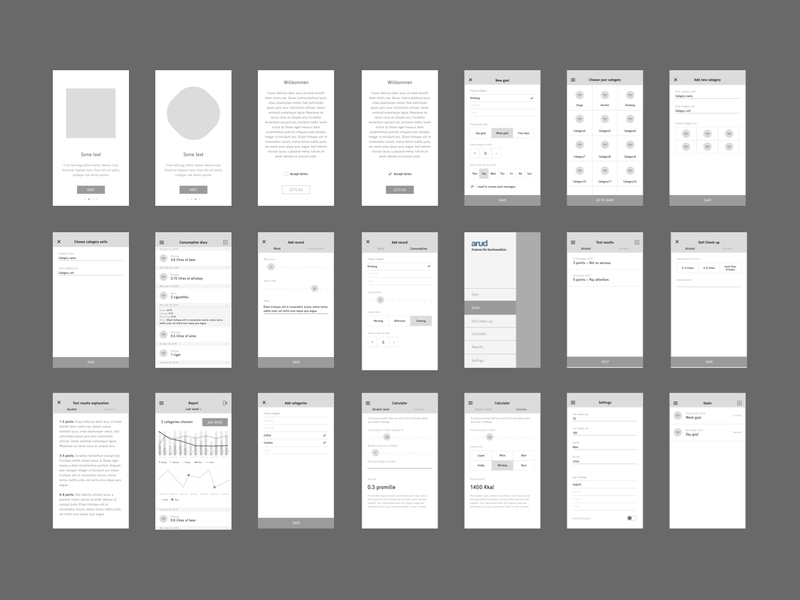 I do wireframes in Adobe XD, and use Invision to make prototype dynamic. It is very important to test overall UX of the app. Font and colours are used from brand guidelines. The font Lumen is actually very suitable for this app due to its compactness. 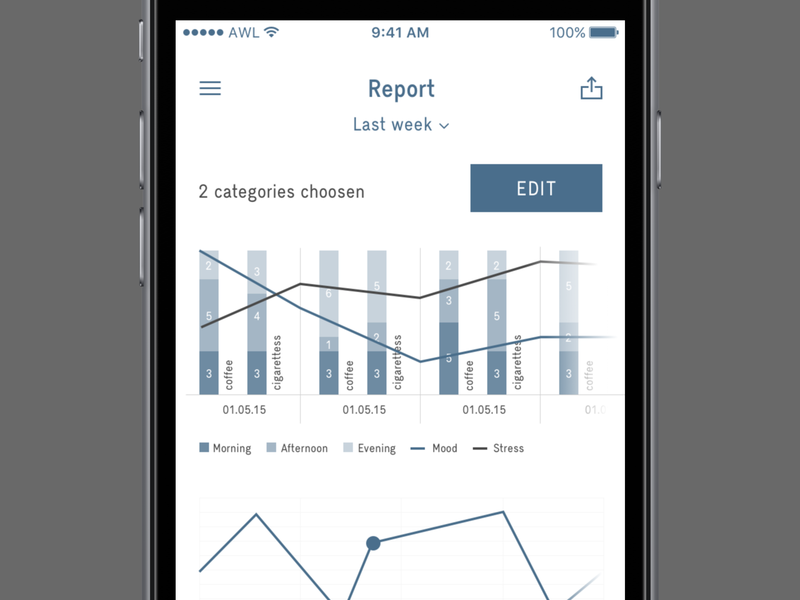 The main color is blue, inactive elements are mainly in shades of gray and red for alert purposes (like delete note). 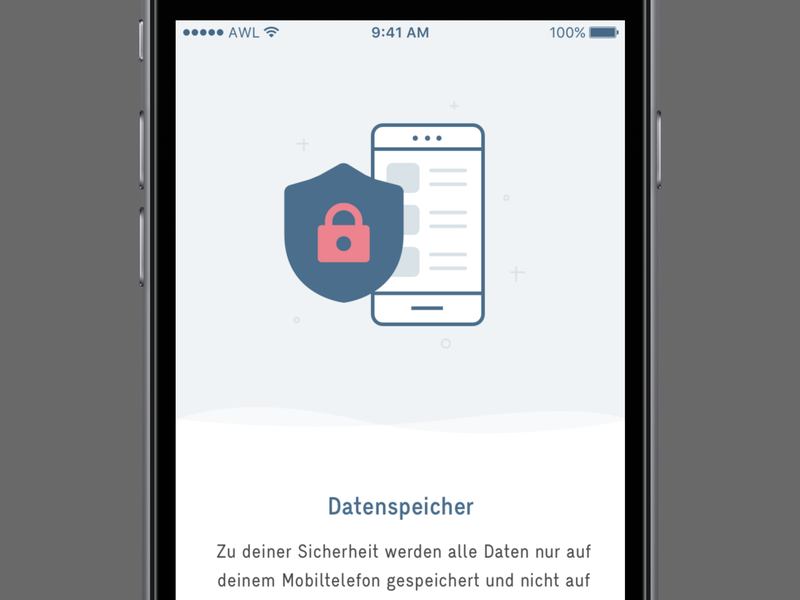 Also I made illustrations for the on-boarding screens. And icons for empty states. 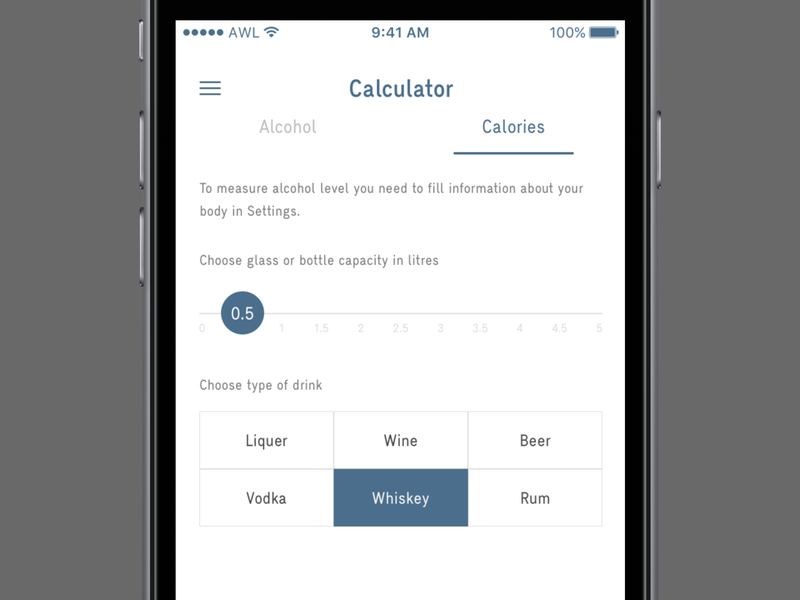 A minimalistic app with a clear and simple interface. 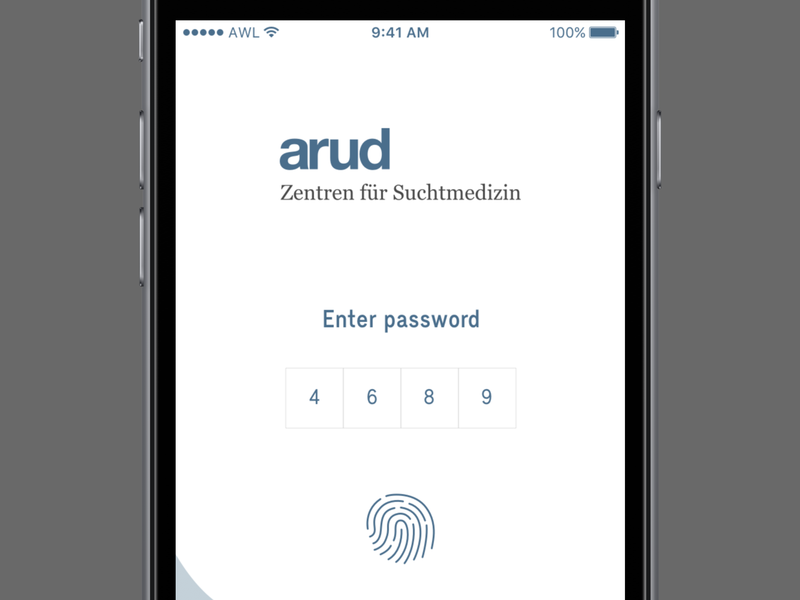 The interface is mainly universal so the app comes in two versions for IOS, and for Android devices.